Analyzing the NBA GM Survey: Who Has the Best Shot at Winning MVP? The NBA released the results of its annual general managers survey and LeBron James was voted most likely to win MVP. The Open Floor Podcast analyzes the results and the candidates. It's never too early for MVP debates. The Open Floor Podcast dives into this season's award narrative and checks in on preseason candidates Kevin Durant, Stephen Curry, Giannis Antetokounmpo and Anthony Davis. 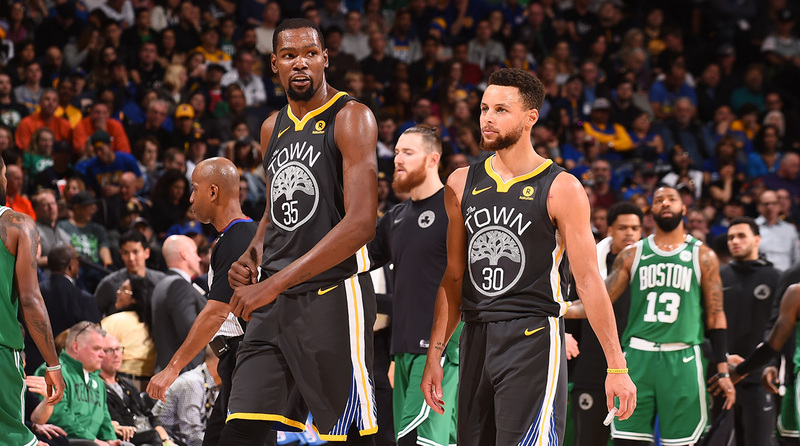 Ben Golliver: Is there any chance Kevin Durant or Stephen Curry winds up winning MVP if Golden State is like easily the league’s best team this season? Does one of those guys have an MVP push in them or are they not even going to try? Because it seems like GM’s ranked the MVP survey what they felt who the top 5 players were opposed to who may actually win MVP. I always defend KD but I do think it is kind of difficult to manufacture his MVP case. What is the narrative for him this season that is different from past seasons? He really struggled to get much attention in previous years. Obviously he is going to be incredible on the court but we know MVP voting tends to go past that. I also thought that it was interesting that the Eastern Conference wasn’t really represented. It seemed like all the GM’s were saying that all of the best players play in the West. Andrew Sharp: As far as the KD thing, I don’t it is as crazy as you do and it’s actually because of something you said on the MVP podcast we did like a month ago. There’s a pretty plausible scenario where Golden State wins 68-69-70 wins and they are so much better than everybody else, that it would be almost uncomfortable to give the MVP to like Anthony Davis with 51 wins and I think that’s realistic for both Durant and Curry. I like the idea that DeMarcus Cousins kinda revitalized them to keep them engaged in a way that they weren’t last year. I am not as quick to write off Durant and I also think Curry belongs right next to him. It’s a toss up between those two and it comes down to who is more outrageous on a nightly basis, which again, can go either way. 2018-19 NBA Preview: Who Will Be the Biggest Surprise Team? Golliver: For Giannis and Steph to each only get one vote … that could look really funny towards the end of the season. Sharp: And the case for Giannis is basically the same as Anthony Davis. Both of them are going to be out of this world every night. I don’t know if Anthony Davis is going to have quite as many wins to really roundup his case, whereas Giannis is going to be in the East. He is coming off what you called “player tanking”. The Bucks were reputation tanking last year…. Golliver: They were coach tanking. Sharp: They were definitely coach tanking and I think there is room for them to leap forward in a way that’s going to underscore how incredible Giannis is. So I like his chances.